Messages from friends arrive in your main inbox, and you receive notifications for them. Messages from non-friends who want to contact you are sent to your Filtered Messages inbox, and you won’t get any notifications. 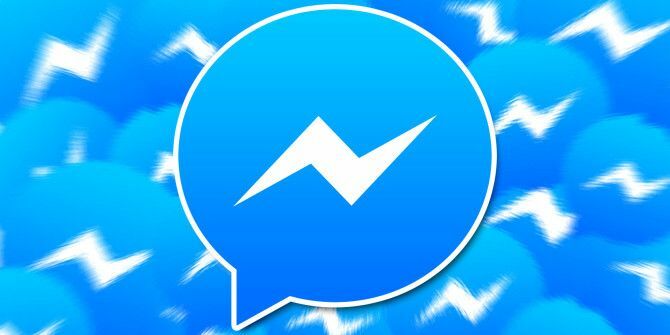 Non-friends also can’t see whether you’re active on Messenger How to Appear Invisible (Offline) on Facebook Chat and Messenger How to Appear Invisible (Offline) on Facebook Chat and Messenger Sometimes you need to take a break from social media. In this article, we explain how to appear invisible on Facebook. Read More or whether you’ve received their message. Open Facebook and click on the Messenger icon in the upper right-hand corner. In the panel on the left-hand side, click on the message you want to move. In the panel on the right-hand side, click the gear icon. Click on Ignore Messages in the dropdown menu. Accept the on-screen confirmation, and the message will move. If you want to move the message back into your primary inbox, find the message in your Filtered Messages inbox and click on the Reply button. You don’t need to write a message, the act of clicking Reply is sufficient. Tap on the conversation you want to move. Accept the on-screen confirmation message. Check out our list of hidden Facebook Messenger tricks 20 Hidden Facebook Messenger Tricks You Need to Try 20 Hidden Facebook Messenger Tricks You Need to Try Even though you use Facebook Messenger every day, here are some Facebook Messenger secrets you may have missed. Read More if you’d like to learn about more Facebook Messenger features.